As the United States is caught up in a number of conflicts and military expeditions around the world, the economic situation of the North American nation is deteriorating on a daily basis, unfolding a devastative crisis with repercussions that go far beyond the tolerance of the U.S. citizens. As reported by the U.S. National Center for Law and Economic Justice, one out of seven people in the U.S. are living in poverty. "In 2009, 43.6 million people – 14.3% of the population – were poor according to the government's definition of poverty," the report says. Disclaimer: The views expressed in this article are the sole responsibility of the author and do not necessarily reflect those of the SPY EYES and or its affiliates. The contents of this article are of sole responsibility of the author(s). SPY EYES and or its affiliates will not be responsible or liable for any inaccurate or incorrect statements and or information contained in this article. Although various sorts of violence-related terrorist acts continue in Pakistan and these have intensified in Karachi, yet sectarian violence which is part of the same game also needs our focus. In this regard, on August 20 this year, more than 50 people, belonging to the Shia community were killed when a suicide bomber blew himself up at a mosque in Jamrud. In another violent attack, on July 30, 12 persons were shot dead in Quetta when unidentified armed men opened fire at Suzuki van. During the months of June and July, in four separate incidents, around 40 Shia Muslims were gunned down in Quetta. However, after the August 20 incident, the enraged people went on a rampage and set tyres on fire to block the road. They also opened fire and one man was killed. In these terms, the originators of sectarian violence need particular analysis. It is of particular attention that faced with an unending resistance in Iraq, the US had planned to spark a civil war between the Sunnis and Shias. In this context, a study of the Rand Corporation, titled ‘US Strategy in the Muslim World After 9/11’ was conducted on behalf of the then US Deputy Chief of Staff for Air Force. The report of the Rand Corporation-a leading think tank, released on December 27, 2004 advocated that Sunni-Shia sectarian division should be exploited to promote the US objectives in the Muslim World. The study indicated that a majority of the world’s Muslims are Sunni, but a significant minority, about 15 percent of the global population is Shias. The report of the Rand Corporation was first implemented in Iraq. In this context, American CIA also got the services of Israeli secret agency Mossad and Indian RAW in order to fuel sectarian violence in Iraq. In 2004, major terror-attacks were conducted against the Shias in Karbala and Baghdad, while US-led some countries accused Iran and Al-Qaeda for the incidents to divert the attention from the said secret agencies. Arab leaders said that they feared the bombings were meant to sow discord between Iraqi Shias and Sunni Muslims. Likewise both the Sunni and Shia leaders of Iraq have found it difficult to believe that Al-Qeada were behind the bombings. In that respect, the prayer leader, Syed Ahmed Bukhari at the Jama Masjid of India stated, “America is fully involved in sectarian violence” in Iraq. killings of their religious leaders. The general masses of both the sects, which could not grasp the reality, began to blame each other’s group for the subversive activities. After experiment in Iraq, more deadly pattern of sectarian violence and clashes was conducted in Pakistan. In this connection, the year of 2011 witnessed a number of sectarian events. For instance, on January 25, a suicide bomber struck in the Urdu Bazaar area of Lahore, killing 10 people including a woman and three Policemen. On February 22, a prominent leader of the Shia community was shot dead by the unidentified attackers in the vicinity of Peshawar. On April 3, 51 persons were killed when two suicide bombers blew themselves up outside the shrine of Sufi saint Ahmed Sultan in Dera Ghazi Khan. On July 16, the militants ambushed a bus carrying Sunni Muslims and massacred 10 passengers in Parachinar. On July 28, a prayer leader of Jamia Albadar mosque, Abdul Karim Mengal, was shot dead by unknown activists in Quetta. In 2010, terror-related sectarian incidents continued. For example, on September 2, triple blasts killed more than 35 persons in Lahore when miscreants targeted the procession of Shias who were celebrating Hazrat Ali’s day of martyrdom. On the same day, seven people including a police constable were injured in Karachi when terrorists opened fire at the Youm-e-Ali rally. Next day, a deadly suicide attack in Quetta killed more than 55 people who participated in the rally of the Al-Quds Day. On May 28, armed assaults on two Ahmadi mosques in Lahore killed more than 70 people. On July 1, in Lahore, more than 45 persons were killed by the two suicide bombers at the Data Darbar. Besides these subversive acts, similar pattern of attacks have kept on going in 2009. On December 4, suicide assaulters stormed a mosque in Rawalpindi, killing 40 people. On December 28, a blast in the middle of the Muharram procession killed more than 25 persons in Karachi as the Shias across the country were celebrating the key holy day of Ashoura. On June 12, a suicide bomber killed five people including anti-Taliban cleric Dr. Sarfraz Naeemi in Lahore. Notably, in some cases, hand grenades were also used by the culprits and exchange of firing took place between the insurgents and security forces. It is mentionable that some banned religious organisations have claimed responsibility for various sectarian attacks, but it is the game of RAW and CIA which arrange a message for media from an unidentified place in order to divert the attention of people towards these groups, and sometimes towards the Taliban. Otherwise, particularly RAW is well-known for carrying out sectarian terror attacks against minority Shias, Ahmadis, Sufis, Christians and Sikhs in Pakistan. Especially, RAW has hired the services of the Indian Muslims who are on its payroll, and these agents have joined the ranks and files of the Taliban and other sectarian groups of Pakistan. Posing themselves as staunch believers, these agents target religious leaders and places of worship in Pakistan with a view to inciting the sentiments of the people of the opponent sect. The main aim behind is to continue sectarian disturbance in Pakistan. In this respect, sinister role of Indian RAW could also be judged from some other events of sectarian violence. In 2008, in Khyber Agency, intermittent fighting between Lashkar-e-Islam and Ansar-ul-Islam had claimed as many as 1500 lives. Lashkar Islami is led by fanatic cleric Mangal Bagh who follows the puritanical Deobandi form of Sunni Islam and has close connections with the extremist Taliban of Afghanistan. Besides other areas of Pakistan, more than 2000 people died in sectarian riots in Kurram Agency, bordering Afghanistan. Its areas have been hit by fierce clashes, pitching Sunni Muslims against the minority Shias. A number of ceasefires was concluded between the warring sects with the help of government officials and the tribal Maliks, but the same proved fruitless owing to the support from Afghanistan where more than hundred training centers covertly established by RAW are supervising anti-Pakistan activities with the tactical help CIA and Mossad. Although the whole Islamic world is target of Indo-Israeli plot, yet the same has intensified in case of Pakistan and Iran. It is due to the fact that Pakistan is a declared atomic country, while Iran is determined to continue its nuclear programme. In this regard, US-led some countries, especially India have been sabotaging Pak-Iranian ties covertly, while sectarian unrest is also part of their game. Notably, Balochistan Liberation Army (BLA) and a Sunni militant group Jundollah (God’s soldiers) which get arms from RAW and CIA are responsible for many sectarian assaults on Sunnis and Shias. In the past few years, their militants with the cooperation of foreign agents also kidnapped and killed Iranian nationals in Pakistan. In this respect, on October 18, 2009, a suicide attack had killed several officers in the Iranian Sistan-Baluchistan. On December 15, 2010, two suicide bombers blew themselves up near a mosque in Iran, killing 39 people. Jundullah claimed responsibility for these incidents. Regarding all these attacks, Tehran had directly accused CIA for funding of that type of terrorist attacks, while diverting the attention of Iran towards Islamabad through secret propaganda. No doubt, CIA, RAW and Mossad are the real originators of sectarian violence in Iraq and now in Pakistan as part of other subversive acts which keep on going. In light of WMR's previous report on Mossad playing a substantial role in the devastating bombing of downtown Oslo, we have obtained an exclusive photograph of a suspected Israeli intelligence operative laughing it up with an Indonesian police officer on October 13, 2002, the morning after the deadly bombings of the night club district of Kuta in Bali at 11:05 pm on October 12. At least 202 and maybe as many as 400 people died in the twin explosions. Most of the dead were Australians on holiday. The attack spurred Australian Prime Minister John Howard into joining the U.S.-British war in Afghanistan and, later, in Iraq. The western man pictured, the only westerner seen in the immediate vicinity of Bali's "Ground Zero," is standing at the police lines and looking toward the bombed and burned out debris of the Paddy Pub and the Sari Club, located across the street. While the civilian Balinese and Indonesian Marines, Army, police, and Special Forces were traumatized by what happened the night before, the suspected Israeli was noticeably happy at the somber scene of destruction. He was so happy, a journalist immediately dispatched to the scene from Jakarta decided to snap the man's photograph. The man's joviality at a scene where there were human intestines and other body parts strewn across exposed re-bar stripped of concrete and hideously burned bodies made him the subject of immediate suspicion. Laughing it up at a horrific bombing scene on Bali in 2002. Israelis have a sordid history of relishing in terrorist bombings from New York and Beirut to Bali and Oslo. The reaction of the unknown celebrator of the Bali bombing is similar to the celebration of five known Mossad agents witnessed celebrating the first impact of an aircraft into the World Trade Center on September 11. 2001, from a location at Liberty State Park in Jersey City, immediately across the Hudson River from lower Manhattan. Recently, FBI director Robert Mueller called New York Times executive editor Bill Keller andWashington Post executive editor Leonard Downie, Jr. and apologized for the FBI improperly obtaining phone records on their Jakarta, Indonesia-based reporters in 2004 during a "national security investigation." FBI agents apparently by-passed judicial authorization in declaring that an emergency existed in their desire to discover with whom the reporters were communicating. The reporters affected by the FBI surveillance were the Post's Ellen Nakashima and Natasha Tampubolon and the Times' Raymond Bonner and Jane Perlez. WMR has learned from another Jakarta-based journalist that the FBI was attempting to discover what information the journalists may have obtained on a false flag operation involving the deadly 2002 bombings in Bali that was blamed by the United States on Jemmah Islamiya, the Southeast Asian affiliate of "Al Qaeda." On March 27, 2007, WMR reported on the subject of the FBI's interest in Jakarta-based correspondents: "Our Indonesian and American sources report that there was a significant U.S. and Israeli military-intelligence connection to the October 12, 2002 bombings of the Sari Club in Bali, Indonesia. A DeHavilland Dash-7 aircraft registered in Queensland, Australia, landed at Denpasar Airport in Bali only hours before a massive explosion ripped through the Sari Club, killing over 200 people, many of them vaporized. Our sources claim that an Israeli military team arrived at Denpasar Hospital a after the explosion and claimed four bodies of white men in uniform and flew them out of Bali on the Dash 7. The plane took off an hour after the explosion. Our sources have revealed the plane was permitted to pass through Singapore for an unknown destination. After the bombing and the plane’s departure, the tower logs were altered at Denpasar Airport to indicate the Dash 7 had not landed there. However, in a major oversight, the apron logs were not tampered with. Our sources have revealed the Dash 7 was Israeli-owned. Several victims of the Sari Club bombing at Kuta Beach had flash burns on their bodies — something common with people exposed to a nuclear blast. Our sources also have revealed that a CIA contract agent — an Indonesian national — was at Kuta Beach the day before the terrorist bombing. He is also known to have been involved in other terrorist attacks on behalf of the CIA since 1998. Our sources also indicate that the then-U.S. ambassador to Indonesia, Ralph Boyce, who is now posted as ambassador to Thailand, was fully aware of U.S. intelligence pre-knowledge of the terrorist bombing in Bali. Boyce told the American managing editor of the Jakarta Post that it would be unhelpful if the paper pursued the U.S. angle in the Bali bombing." The FBI appears to have been interested in the identities of the sources for a number of Jakarta-based journalists investigating the Bali bombings. However, the bureau only required authorization for surveillance of journalists defined as "U.S. persons" under intelligence collection statutes. U.S. ambassador Boyce exerted tremendous pressure on Syafie Ma'arif, the head of Indonesia's second largest Muslim organization, Muhammadiyah, to ensure accused Bali and Jakarta Marriott Hotel bombing mastermind, the elderly Abu Bakar Bashir remained in prison. In 2003, Bashir was cleared on leading Jemmah Islamiyah but was not released from prison until 2004. Boyce was accused of manufacturing evidence against Bashir and wanting to keep him in prison to prevent the cleric from providing evidence linking U.S. intelligence to the bombings in Indonesia. The Bali bombings, which killed 202 people, many of them Australian, were portrayed as Australia's "9/11" in a propaganda ploy to convince Australia to commit troops to the Iraq war. Even before the Bali bombings, the Bush administration attempted to get the government of President Megawati Sukarnoputri to secretly arrest Bashir and hand him over to the United States for extraordinary rendition. Megawati refused the request made in a meeting between Megawati and Boyce, National Security Council official Karen Drook, State Department interpreter Fred Burks, and an unidentified CIA agent. The CIA agent warned Megawati that there "would be a problem" if Bashir was not handed over to the United States. A month later, terrorist bombs ripped through the Bali tourist spots. UPDATE: WMR has also learned that the Australian government placed pressure on the Indonesian government to quickly remove the debris from the Bali bombing to barges brought in by Australia to Kuta port. The debris was then dumped in the ocean. Similarly, debris from the World Trade Center in New York was quickly transferred to Staten Island and eventually to India and China for smelting. In both the New York and Bali incidents, important forensics sites were compromised before a full investigation could be carried out. The decision to remove crime scene evidence came on orders from above. “Be careful. Be very careful,” friends are warning. “It took much less for NATO to walk into Libya than what’s happening in Karachi. First, their bombs opened the door for the rebels. Now, continued bombing will make it safe for them to enter.” True, but Pakistan is not Libya. It’s much bigger, much more complex. Gaddafi made some grave mistakes. Starting out as a revolutionary to overthrow western hegemony, monsieur became a horrible tyrant. He killed his own people; he killed innocent foreigners – the Lockerbie bombing and the cold-blooded murder of policewoman Yvonne Fletcher come to mind. The mushrooming of rebel groups became a natural consequence. It also provided the hegemon ‘justification’ to ‘help’ the rebels. By making up with the West he let the hegemon in through the door. While he won the release of odious Lockerbie bomber in return for an oil concession to a British oil exploration company, thereafter the most concessions he gave were to China and Russia. Big mistake. The hegemon was riled. Today Gaddafi is all but done, running for his life, hiding in warrens and rat holes. We too have exploited our people endlessly and unleashed tyranny on them periodically. But unlike Libya, we let the hegemon in through our door from inception – in fact, we never let him out. Libya’s oil, exploited and unexploited, is now virtually in American hands. Add Iraq and they’ve already got a huge reserve. Add Afghanistan and they also have gas pipeline routes. Add Afghanistan’s unexploited ‘rare earth minerals’ that China recently stopped exporting and they have great power. Next could be Saudi Arabia and Iran. The small fry would follow. Wars and control over global energy reserves are a sure way to kick start a bankrupt economy. America came out of the ‘Great Depression’ not because of Roosevelt’s ‘New Deal’ but because of the Second World War. But, “The times. They have a changed”. Attacking Iran is attacking an ideology. It could bring ‘Economogeddon’. Why Pakistan? It has little oil and hardly any gas left. Five reasons: to establish an Iran-Pakistan-India gas pipeline; prevent an Iran-Pakistan-China gas pipeline; control Karachi’s ports and foil China in Gwadar; control Pakistan’s nuclear arsenal; reduce China’s influence. Won’t work. It would lead to global anarchy. America knows it. Sure outsiders will interfere if you stupidly create the conditions for interference. Since the return of ‘democracy’ political gangs have killed more than 6,000 people, more than 2,000 this year alone, excluding security personnel. People are so desperate that they want to somehow – anyhow – get the hell out of the hell that is Karachi. Demand for a Karachi province (and for others) is already there. In the current mood, a new province by violence would be seen as victory and a stepping-stone to separation. All it needs is for a ‘leader’ of a ‘rebel group’ to unilaterally declare independence and ask for foreign ‘help’. If people come out on the streets to celebrate, you have had it. You can be sure that America’s formal and informal intelligence operatives have already set up such ‘sleeper’ rebel groups and prepared their ‘leaders’ – its new set of stooges and satraps. They only have to wind up their toys and let them loose when needed. Such scenarios always sound fanciful before they happen, but we should be used to unlikely scenarios unfolding, having suffered so many that once were regarded as fanciful. It would be a mess. If India plays any sort of role – and it would be out of character for it not to – like ‘recognizing’ the ‘rebels’ as the ‘legitimate’ government, and China enters the fray, which inevitably it must with so much strategic investment at stake, it would be Armageddon. Sure there will be huge orders for America’s military-industrial complex, but there may be no military-industrial complex left to meet those orders. The hope is that the millennia old wisdom of these three great civilizations emerges and defeats the nefarious designs of a desperate hegemon without history and civilization. America knows the consequences too. Perhaps the only way to save Karachi might be to either make it a federal territory or to take the capital back there, however stupid and difficult it might seem – often only irrational solutions work in irrational situations. It’s not just Karachi. Secular and religious maniacs in different garb chasing different agendas are on the rampage throughout Pakistan. Sure India is helping many of them. Considering we are the enemy, why wouldn’t they? Wouldn’t you? America has been setting us up for long. We are accused of all sorts of things, from being two-faced to hiding Osama Bin Laden to helping the Taliban. After the Abbotabad caper tension between our army and the US ratcheted up so much that today they are hardly on talking terms. We threw out their ‘trainers’ and overt and covert intelligence operatives and placed restrictions on the movement of their diplomats. America not only stopped our funding but also reimbursement of our expenses. The temperature remains high. If the Pakistan volcano erupts, the destruction would be great. The world map would change. Cartographers would become very busy. It would completely alter the Muslim world and South Asia, making new paradigms that the world might find difficult to cope with. America knows that. How to prevent it? Find another way. Find horses for courses. What new breed of horse does America find for the Pakistani course? The hushed chatter has it that America has a new doctrine: “If you can’t lick ‘em, join ‘em”. The task is to prevent a gaggle of crazed religious fanatics with different interpretations and agendas parceling the country out between them. If you can’t defeat them militarily, defeat them ideologically. Pull the rug out from under their feet. Hijacking their ideology by forging a modern and progressive ‘American Islamic Revolution’ with our military leading the way – a mixed breed by mating the new American Islamic mare and the old Pakistani military horse. Get the “guardians of Pakistan’s geographical and ideological frontiers” to play their hand, the Sabz Hilali Parcham – ‘Green Flag, Islamic Crescent’. Our generals at wits end may agree with alacrity. Islam is the only platform they could now possibly ride in on after the erosion of their credibility. If the majority of Pakistanis really are as moderate as we think, they should lap it up. If it works, it could be replicated elsewhere. Muslims scholars having failed, let the Islamic renaissance come from America. That this is precisely where the problem will lie: while Islamic is acceptable to our people, America is not. They love Islam; they hate America. A new Islamic doctrine forged by America doesn’t stand a chance. Don’t fool around with an ideology if you don’t quite understand it. End up aping western constructs in Islamic garb and it won’t work. Religion is ideology by another name. Ideology is secular religion. Don’t put you hand into a red-hot cauldron. That it could be tried is not outside the realm of possibility. Nothing in this crazy situation is. Stupidity is also a democratic right. They could try and turn the joke that Pakistan functions on three, ‘As’ – Allah, America and the Army – into reality. PPC 295c. Use of derogatory remarks etc. in respect of the Holy Prophet (PBUH). Whoever by words, either spoken or written, or by visible representation, directly or indirectly, defiles the sacred name of the Holy Prophet Muhammad (PBUH) shall be punished with death or imprisonment for life and shall also be liable to fine. Name of book, "The Pakistan Penal Code" (BARE ACT) by Nadeem Shaukat, Advocate High Court. Legal Research centre. 2- MICOP CENTRE, 1-MOZANG ROAD, LAHORE printed at: NEWFINE PRINTING PRESS, 48-Lower Mall, Lahore Pakistan. this ruling is indicated by the Qur’an and Sunnah. This verse clearly states that mocking Allah, His verses and His Messenger constitutes kufr, so that applies even more so to insulting. The verse also indicates that whoever belittles the Messenger of Allah (peace and blessings of Allah be upon him) is also a kaafir, whether he was serious or joking. With regard to the Sunnah, Abu Dawood (4362) narrated from ‘Ali that a Jewish woman used to insult the Prophet (peace and blessings of Allah be upon him) and say bad things about him, so a man strangled her until she died, and the Prophet (peace and blessings of Allah be upon him) ruled that no blood money was due in this case. Shaykh al-Islam Ibn Taymiyah said in al-Saarim al-Maslool (1/162): This hadeeth is jayyid, and there is a corroborating report in the hadeeth of Ibn ‘Abbaas which we will quote below. This hadeeth clearly indicates that it was permissible to kill that woman because she used to insult the Prophet (peace and blessings of Allah be upon him). It may be noted from this that the Prophet (peace and blessings of Allah be upon him) had the right to kill whoever insulted him and spoke harshly to him, and that included both Muslims and kaafirs. The second issue is: if a person who insulted the Prophet (peace and blessings of Allah be upon him) repents, should his repentance be accepted or not? The scholars are agreed that if such a person repents sincerely and regrets what he has done, this repentance will benefit him on the Day of Resurrection and Allah will forgive him. ‘Abd-Allaah ibn Sa’d was one of those who used to write down the Revelation, then he apostatized and claimed that he used to add whatever he wanted to the Revelation. This was a lie and a fabrication against the Prophet (peace and blessings of Allah be upon him), and it was a kind of insult. Then he became Muslim again and was a good Muslim, may Allah be pleased with him. Al-Saarim 115. They said that insulting the Prophet (peace and blessings of Allah be upon him) has to do with two rights, the right of Allah and the right of a human being. With regard to the right of Allah, this is obvious, because it is casting aspersions upon His Message, His Book and His Religion. As for the right of a human being, this is also obvious, because it is like trying to slander the Prophet (peace and blessings of Allah be upon him) by this insult. In a case which involves both the rights of Allah and the rights of a human being, the rights of the human beings are not dropped when the person repents, as in the case of the punishment for banditry, because if the bandit has killed someone that means that he must be executed and crucified. But if he repents before he is caught, then the right of Allah over him, that he should be executed and crucified, no longer applies, but the rights of other humans with regard to qisaas (retaliatory punishment) still stand. The same applies in this case. If the one who insulted the Prophet (peace and blessings of Allah be upon him) repents, then the rights of Allah no longer apply, but there remains the right of the Messenger of Allah (peace and blessings of Allah be upon him), which still stand despite his repentance. The Prophet (peace and blessings of Allah be upon him) sometimes chose to forgive those who had insulted him, and sometimes he ordered that they should be executed, if that served a greater purpose. But now his forgiveness is impossible because he is dead, so the execution of the one who insults him remains the right of Allah, His Messenger and the believers, and the one who deserves to be executed cannot be let off, so the punishment must be carried out. insulting the Prophet (peace and blessings of Allah be upon him) is one of the worst of forbidden actions, and it constitutes kufr and apostasy from Islam, according to scholarly consensus, whether done seriously or in jest. The one who does that is to be executed even if he repents and whether he is a Muslim or a kaafir. If he repents sincerely and regrets what he has done, this repentance will benefit him on the Day of Resurrection and Allah will forgive him. Shaykh al-Islam Ibn Taymiyah (may Allah have mercy on him) wrote a valuable book on this matter, entitled al-Saarim al-Maslool ‘ala Shaatim al-Rasool which every believer should read, especially in these times when a lot of hypocrites and heretics dare to insult the Messenger (peace and blessings of Allah be upon him) because they see that the Muslims are careless and feel little protective jealousy towards their religion and their Prophet, and they do not implement the shar’i punishment which would deter these people and their ilk from committing this act of blatant kufr. Further more...if we go through the books of History i.e. Ibne Azari, Al Batan, jild 2, p. 90, Simonet, Historia de los mazazbespp413; Dosy Histoire, Vol1 pp.31ff. Ibn el Khateeb's Al Ulaam, Ibne Khaldoon's Abar...you will find that in year 851.A.D. and earlier, Priests of that time supports those who insults Rasool Allah (SAW) and when they were beheaded by the court than those blasphemers were declared martyr among Christians and now insulting our Prophet (PBUH) by them is part of their religion. The basic philosophy of this act is to become respectable and honored amongst the Churches; this is why they promote it everywhere i.e. Draw Muhammad Day, Muhammad cartoons etc. It is evident that this law was existed in the early Hijri years. And Allah knows best. 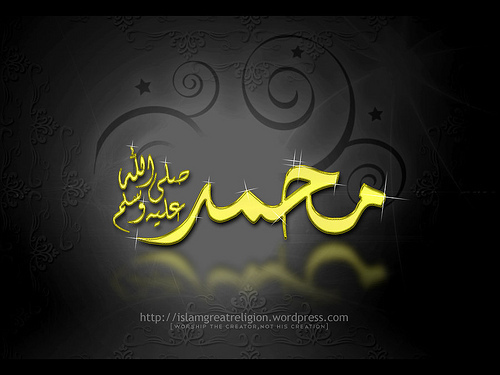 May Allah send blessings and peace upon our Prophet Muhammad and all his family and companions. Leviticus 24:16 And he that blasphemeth the name of the LORD, he shall surely be put to death, and all the congregation shall certainly stone him: as well the stranger, as he that is born in the land, whenhe blasphemeth the name of the LORD, shall be put to death. Ezekiel 35:11-12 Therefore, as I live, saith the Lord GOD, I will even do according to thine anger, and according to thine envy which thou hast used out of thy hatred against them; and I will make myself known among them, when I have judged thee. And thou shalt know that I am the LORD, and that I have heard all thy blasphemies which thou hast spoken against the mountains of Israel, saying, They are laid desolate, they are given us to consume. He was escaping to South Africa? London: The London Times has reported Altaf Hussain self exiled leader of MQM-A caught escaping to South Africa by the authorities. According to sources, ‘Altaf Hussain was hiding in the Wrexham area close to Slough in Berkshire for the past few days. He was stopped when was going to Heathrow Airport in a private taxi. Interestingly the taxi driver was a Pakistani whom Mr Hussain thought as an English man due to his appearance. Can criticism of Israel, particularly a) criticism of Israel’s treatment of the Palestinian people and b) criticism of the state ideology of Zionism that justifies that treatment, be labeled anti-Semitic? This is not a hypothetical query. An affirmative answer to this question is being advocated by influential Zionist lobbies in the United States. The question is of particular importance on the nation’s college and university campuses. In places like the University of California at Berkeley and Santa Cruz, and also at Rutgers University in New Jersey, Zionist students are now threatening to sue these institutions for failing to prevent an "atmosphere of anti-Semitic bigotry" allegedly created by the presence of pro-Palestinian student groups and faculty. 1. Title VI is not an appropriate instrument to use when trying to "protect" Jewish students from "anti-Israel events, statements and speakers." To use Title VI this way amounts to censorship. 2. Question: How do we know what is going on at a college or university campus is anti-Semitism? Answer: "Six years ago the European monitoring Centre on Racism and Xenophobia (EUMC) created a working definition of anti-Semitism….while clearly stating that criticism of Israel in the main is not anti-Semitic, [it] gives some examples of when anti-Semitism may come into play, such as holding Jews collectively responsible for the acts of the Israeli state, comparing Israeli policy to that of the Nazis, or denying to Jews the right of self-determination (such as by claiming that Zionism is racism). In recent years the U.S. Department of State and the U.S. Commission on Civil Rights have embraced this definition too. It is entirely proper for university administrators, scholars and students to reference the working definition in identifying definite or possible instances of anti-Semitism on campus." 3. Conclusion: Censorship should be avoided, Title VI should be avoided, but the "working definition" should be used to make judgments as to how best to "wrestle with ideas" while at the same time "combating bigotry." This letter was signed by both Cary Nelson as President of the AAUP and Kenneth Stern as the Director of the anti-Semitism and extremism sub-division of the AJC. Released in early August 2011, it took only a few days before it was repudiated by the AJC. On 9 August David Harris, President of the American Jewish Committee, "apologized" for the joint declaration, said it was "ill advised" and blamed a breakdown in the AJC’s "system of checks and balances" for the slip up. Kenneth Stern is now on an unscheduled sabbatical and cannot be reached for comment. This is not the end of the story. There is something wrong with the fact that the AAUP was so quick to endorse the EUMC working definition of anti-Semitism (a definition, by the way, that Kenneth Stern had a hand in writing). Consider these two statements from the above AAUP-AJC declaration each of which, according to the "working definition," can be seen as anti-Semitic: 1) "holding Jews collectively responsible for the acts of the Israeli state" and 2) "denying to Jews the right of self-determination (such as by claiming that Zionism is racism)." As we are about to see the first statement has hidden facets to it and the second defies historical reality. It is absolutely the case that the Jews should not be held collectively responsible for the actions of Israel. But it should be pointed out that it is just such collective responsibility that Zionists insist upon. Zionist ideology demands that Israel be recognized as representing world Jewry. Zionists expect that, in return, all Jews will identify with and actively support Israel–feel one with the "Jewish state." They classify those Jews who do not recognize their collective responsibility to Israel as somehow deficient or perhaps "self-hating" Jews. So let us get this straight, if holding Jews collectively responsible for the acts of Israel is anti-Semitic, what does that make the Zionists? a. That Jews have some sort of natural right to political self-determination is highly questionable. How about Protestants, Catholics, Hindus, Buddhists, ad infinitum? Just how far do we want to push this claim of political self-determination for religious faiths? Oh, but the Zionists insist that Jews are not just adherents to a particular faith–they are a "people." Well, for sure that is an opinion. It just doesn’t happen to be the opinion of millions of other Jews who see Judaism as a religion pure and simple. Of course, if the latter are vocal about this they run the risk of being labeled "self-hating." b. And who, except of course the Zionists, says that Zionism is a desirable vehicle for the expression of this alleged right of self-determination? Let us face it. Israel and its Zionist ideology were born of the will of a small minority of Jews, almost exclusively from Central and Eastern Europe, most of whom were secularists, and almost all of whom carried within their heads the poisoned perceptions of European imperialist bigotry – an outlook which still characterizes the state they set up. That is why, in practice, Zionism has resulted in a prima facie racist environment in Israel. And now we are told that, according to the "working definition," pointing out the link between Zionism and racism is an act of anti-Semitism! Given this close reading of parts of the "working definition," the AAUP really ought to rethink its apparent support of the document. It is a position that can only give impetus to the very censorship the AAUP dreads. However, what is one to do when folks you count on as rational and careful thinkers, like the leadership of the AAUP, get caught short this way? What is one to do when flawed reasoning and spurious assumptions start to be translated into criteria for government administrative decisions? What can you do when a fifth of the Congress decides to take a break and visit one of the most racist places on the planet and you risk being labeled an anti-Semite for decrying this fact? Well, you have a good laugh, have a good cry, and then go post your assessment of the situation on your website. Then you get a bit drunk. Finally, you repeat ten times "I will never to stay silent."